The Accelerator level matches your own Swag Bucks earnings up to 700 SB each month and is $4.99/month. For example if you earn 500 SB in one month at this level, the program will provide you with another 500 SB! Instead of just one $5 gift card, you know have enough for two $5 cards or one $10 gift card. The Accelerator Plus level matches the SBs you earn up to 1500 SB each month and is $9.99/month. For example as a Plus member, if you earn 1250 SB then you'll get another 1250 SB and have enough for five $5 gift cards or one big $25 card. You can earn matching Swag Bucks through any earning channel (Shop, Search, Watch, Play, Answer, Discover). If you haven't signed up for Swagbucks.com yet, it's a great way to get rewards and gift cards for the things you already do online. I've used Swagbucks for years and got more than $500 in gift cards for Amazon & Paypal. There are many other stores to get giftcards from but Amazon and Paypal are perfect for purchasing prizes for giveaways. 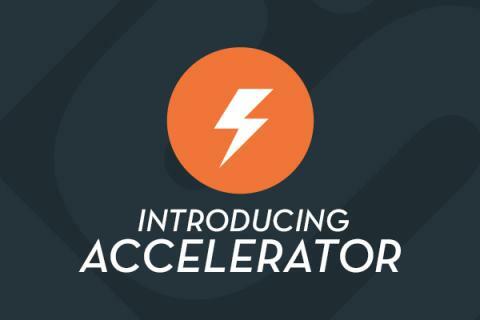 I have already signed up for the Accelerator Plus. I earn more than 1500 Swagbucks a month so just by joining, I'm going to essentially get $15 in additional giftcards every month. Sounds like a win - win situation to me! Start getting more value out of being online and join me at Swagbucks and sign up here. Later! And here I thought it was going to be just an added benefit and not something you pay for. Damn you swagbucks! To me the whole point of Swagbucks is to get stuff for free, so if I'm putting any of my own money into it then it's not really worth it. I already make about 3,000 points a month, so I don't think there'd be much of a benefit for me anyway. Hey there Devin. Yeah, you are waaaay exceeding the 1500, then you would just be exchanging $10 for $15 in giftcards. You don't necessarily lose out on funds, but it can be seen as an unnecessary transaction. I've been getting at least $75 in gift cards from them every month. Obviously I'd hit the goal and since many of those cards are Paypal, it looks like I can pay through Paypal. So I keep thinking, what's the catch? I know, I tend to be a bit cynical, but there were a few weeks last month that they had my gift cards on hold. Hey there Sunshyn! I'm in the same boat. I got enough to cover the costs from Swagbucks so I figured, why not. If I can continue to cover the cost from giftcards that I get from Swagbucks anyways, I don't see the down side of getting on the Accelerator Program. I guess the thing that bothers me is the signing up for a paid subscription part. It would need canceling if anything ever happened where I wasn't getting giftcards from them anymore.